Mrs Starch, the fiercest, most formidable teacher at school vanishes on a science excursion to The Black Vine Swamp. Two of her students, Nick, preoccupied with his father’s return from Iraq, and Marta, his devouted co-conspirator, try to find out what’s going on. There’s also an agry teenage arsonist, a crazed eco-activist, a corrupt oil prospector and a wild Florida panther. 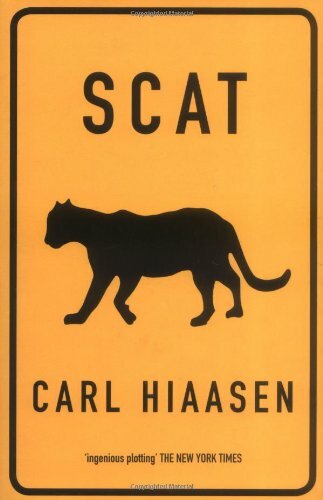 Hiaasen has put together an engaging early-teen mystery that’s both tense and fun. The story is exciting and fast-paced, making it a pretty easy read despite its size. Through the curiosity and concern of two mischievous high school students, a mystery of corruption unfolds, bearing with it the threatened extinction of yet another endangered species. It’s a clever storyabout friendship, loss, courage, loyalty and acceptance. Great read. Recommended for ages 11 and up.